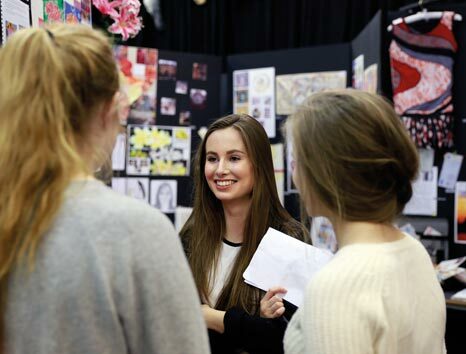 One of the key aspects recognised as a particular strength at King Alfred’s is the Academy’s curriculum structure. Now re-configured as a two-site establishment, King Alfred’s Academy remains keen to innovate and we continue to operate a structure that best suits the needs of our children and young people. Since 2005 King Alfred’s has condensed Key Stage 3 into two years. All Year 7 and 8 are based on West Site and both students and parents really value the atmosphere and ‘feel’ of a site dedicated to 11-13 year olds as they move from often small primaries into secondary school. 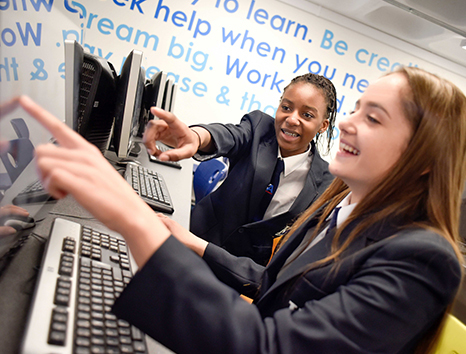 Currently, Key Stage 4 (Years 9, 10 and 11) is delivered on Centre Site, with the flexibility to offer a wide range of courses and opportunities. Studying subjects over three years allows young people the scope to enrich their studies via workshops, study visits and learning outside the classroom. On Centre Site we have a more collegiate atmosphere with Years 9, 10 and 11, together with Years 12 and 13, focused on examination success and routes into employment and further education, alongside the many enrichment opportunities. However, this curriculum structure does not simply enable examination success. Parents, staff and our young people alike all value the way in which both sites can be tailored to the needs of specific year groups. 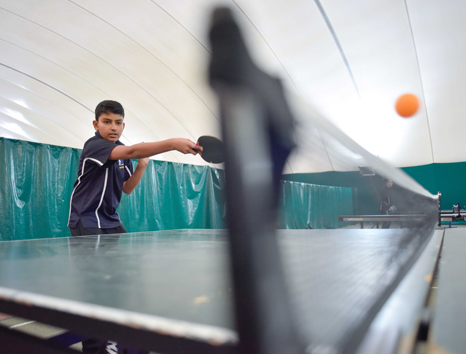 King Alfred’s offers young people a unique experience at Key Stage 3 (KS3), being based on a separate site where Years 7 and 8 can be nurtured as they become acclimatised to life in secondary school. The usual three-year KS3 has been condensed into two years, thereby giving an extra year to prepare for GCSEs. This has shown not only to be beneficial in terms of academic achievement, but also in personal and social development, which is monitored both by the year group’s allocated Student Manager and the Tutor for each Tutor Group. King Alfred’s Academy has developed a broad and balance KS3 curriculum that has been built around the philosophy of enrichment that all our young people are encouraged to engage with. Tutor sessions are timetabled to ensure each student is offered social and emotional support, advice and development. The Academy runs a house system where each student is allocated to one of three houses (Vale, Ridgeway or White Horse). Students are taught in their houses for certain core subjects while others are a mix. The house system also provides the chance for inter-house sporting and academic challenges. At KS3, we have a strong focus on English and Maths, where students are set according to ability. More able students are offered the chance throughout KS3 to develop their skills and learning through a variety of opportunities. Less able students and students with Special Educational Needs (SEND) are supported through on-site Learning Support with the aid of Teaching Assistants and Learning Mentors, as well as having designated facilities for 1:1 and small group intervention sessions. The after-school Electives Programme offers all students the chance to develop interests, hobbies and skills outside of the curriculum. All students study English, Maths, Science, Humanities (combining History, Geography and RE), PE, Computing, Design Technology (including Systems and Controls and Resistant Materials), Food Tech, Art , Music and Modern Foreign Languages (French and Spanish). Parents receive regular feedback on the progress of their son/daughter outlining their academic attainment and attitude. In Term 3 of Year 8, students select their options for KS4 and at the end of Year 8 parents receive a Transition Report outlining their child’s strengths and achievement in KS3. At King Alfred’s we aim to ensure all our students gain the highest possible grade at Key Stage 4. The efforts of teachers, parents and, most notably, our students is demonstrated by our examination success over recent years, during which period King Alfred’s has been amongst the best achieving state schools in Oxfordshire. 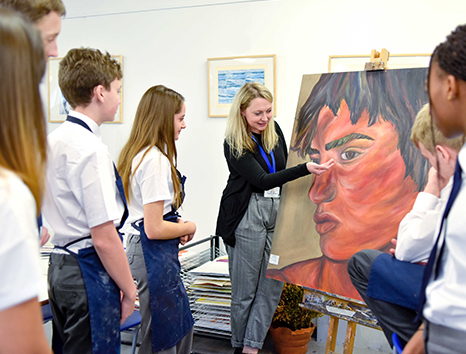 The process of choosing Key Stage 4 Curriculum Options starts in the new year, when Year 8 students and parents have the opportunity to attend a ‘Key Stage 4 Pathways Event’ during which they and their parents meet with Faculty representatives and listen to presentations from senior staff. Subject teachers are on hand to provide information on courses, providing the ideal opportunity for students and parents to gather relevant information ahead of making decisions on a pathway into Key Stage 4. An ‘Adviza’ representative and our Careers Manager are also available for any general careers enquiries. Following this, students meet individually with senior staff (parents and guardians are also most welcome to attend) to discuss and settle on their final choices. Recognising that the choices made at this point could have an important bearing on the futures of our students, we ensure that plenty of advice and support is made available. If you would like to make contact with any of the above, or have a query relating to any aspect of our curriculum, please send an email via our Enquiries email address under the “Contact Us” tab on the Home Page.